We are right in the middle of that time every four years when the United States of America focuses very intently on the government, the whole government and not just the elected officials. Right now there are confirmation hearings happening, the executive branch is going through the final steps of transition, and a bunch of fresh congress people are settling into their new roles. This period is always a great reminder of all of the parts of the government which tend to be forgotten, like say the Department of the Interior. That is right, there really is a Department of the Interior. Since the USA’s focus is all on the government right now, so is Relatively Prime’s. In particular we will be focusing on the role mathematics and mathematicians should play in our government. No matter what your personal political persuasion, if you are listening to this podcast it is a safe bet you wish mathematics had a place a little closer to the center of the political action. You are not alone, there are people working to make this happen. One such group are the AMS Congressional Fellows and this episode features an interview host Samuel Hansen conducted with the 2009-2010 AMS Congressional Fellow Katherine Crowley, actually she is not only a congressional fellow, she was also a AAAS policy fellow at the Department of Energy from 2011-2013. They discuss what Katherine’s fellowships entailed, how mathematics can help with policy, and how policy can help with mathematics. The interview was recorded in at the Seattle Joint Mathematics Meetings in January of 2016 where Katherine presented a talk about her time on the hill and in the executive branch. For anyone worried about being burnt out on political discussion after this last election season do not worry, this interview happened well before the election was in full swing and there is no talk about it at all. Don’t forget to support Relatively Prime on Patreon and make sure Samuel can afford to make rent next month. 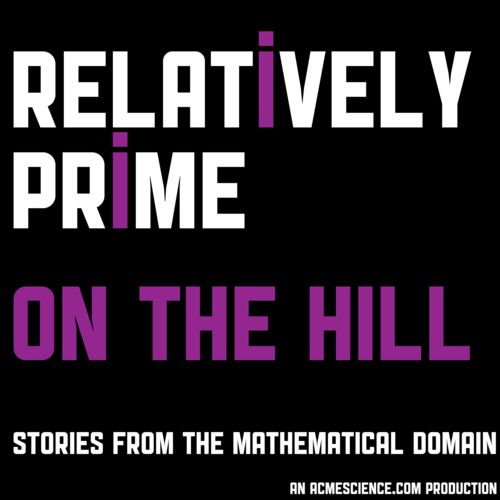 Plus, you can get access to the RelPrime bonus feed and hear Katrine Crowley’s first mathematical memory.